I’ve written about the three data waves we are facing in healthcare: data capture, data sharing, and data analytics. Primarily due to the “meaningful use” program the United States has made huge strides in electronic health record (EHR) adoption and is beginning to make progress in health information exchange (HIE). These are the principal drivers of the increased capability and use of clinical analytics, since it is the patient data captured, shared, and aggregated by these applications that is the primary source of the data that healthcare organizations analyze using these clinical analytics tools. This allows us to turn those data into information - actionable information that actually provides the ability to improve quality and lower the cost of care. 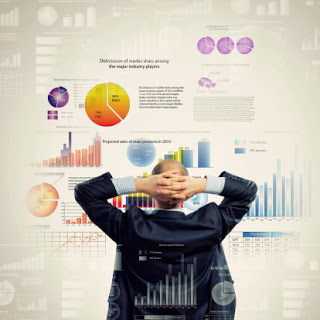 It is the meaningful use of EHR technology that will ultimately enable meaningful analytics. Two key factors for using clinical analytics to translate data into information are: achieving high quality of care and improving patient safety, as well as increasing awareness about the costs associated with providing care. One way in which organizations are framing these quality of care issues is within the context of meaningful use. Because of incentives when meaningful use criteria are met, and the impending penalties when they are not, many healthcare organizations and providers are evaluating how they are capturing and sharing data. Since organizations are required to report on multiple measures to achieve meaningful use, they often attempt to find ways to capture and report successfully on all measures rather than focusing on only a handful of measures. Clinical data analytics do not only leverage meaningful use rules, but also can help satisfy compliance with them. Obviously the reporting requirements for meaningful use can make good use of clinical analytics tools, but some of this reporting capability is also useful when participating in new payment models such as accountable care organizations (ACOs). Although not directly called out in meaningful use, lowering costs is a high priority and part of the over-arching Triple Aim. I can not imagine succeeding in a truly transformed healthcare system without having the clinical and business intelligence tools that will allow for targeted interventions and not only a retrospective look via claims data, but the real-time capabilities of an Enterprise Data Warehouse with robust analytic and reporting functionality. . In addition to a focus on meaningful use measures and ACOs, the industry’s shift to the use of ICD-10 (International Statistical Classification of Diseases and Related Health Problems-10th revision), mandated for the coding of all inpatient and outpatient claims beginning in October 2014, will also impact the use of clinical analytics. Conversion to the ICD-10 coding will dramatically increase the specificity and granularity, and therefore the value, of diagnostic datasets. For example, this change will increase the number of codes available for identifying diagnoses and procedures from 17,000 to 155,000. This will improve the classification of patient interactions by expanding the information that is relevant to ambulatory and managed care encounters, offer expanded injury codes and enable the combination of diagnosis and symptom codes to reduce the number of codes needed to fully describe a condition. This increased granularity, combined with the continued increased in digital capture of clinical data will yield new data sets which healthcare organizations will have the opportunity to translate into meaningful information that can be used to improve the delivery of healthcare. As the healthcare system continues to harness bigger and better data sets, including claims data, genomic data, imaging and other important data sets, the value of clinical analytics will increase. Just because data is housed in a data warehouse still doesn't mean that access to information is easy or timely. Clinical analytics continues to be used primarily for retrospective analyses, rather than real-time clinical decision support. In my previous post on “Realizing the Value of Health IT” http://www.ahier.net/2013/09/analytics-realizing-value-of-health-it.html I wrote about some companies that are making good headway in this area, including Health Catalyst. The technical architecture used for a clinical data repository is a key consideration. As we continue to aggregate digital health data of all different stripes, analytics will provide real value to clinicians and healthcare organizations from both a quality and a financial perspective. I’m hopeful that we will continue to see development of the Healthcare Analytics Adoption Model and broader implementation of this critical technology. 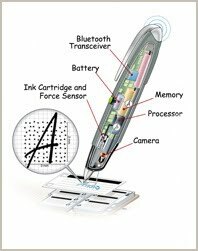 Almost three years ago I wrote about the NextPen from NextGen using Anoto technology. At the NextGen User Group Meeting (UGM) in Las Vegas they have announced the launch of the new NextPen Voice which is designed to help providers stay more engaged with patients while streamlining and speeding detailed patient data capture. It looks to be a promising enhancement to the NextPen solution. NextPen Voice gives you a choice between written and voice input, depending upon clinical examination protocols, preferences and specialties. Providers using NextPen Voice can easily switch between voice dictation and handwriting during patient encounters, with just a simple double tap. Like the original NextPen Write, NextPen Voice utilizes the same miniature camera technology for its handwriting capture mode. In writing mode, the pen tracks its position on a paper form and records every stroke. Handwriting and drawings are recognized immediately and are flowed into the patient chart as structured data. The provider’s dictation captured by NextPen Voice is automatically routed for transcription, returned, and once approved by the provider with a simple click, is automatically flowed into the patient’s chart as narrative text. First, it is important to understand the difference between HIX and HIE. HIX usually refers to health insurance exchange or marketplace insurance, which is a central component of the Patient Protection and Affordable Care Act, Obamacare, the ACA or whatever you want to call it. The ACA requires healthcare coverage for everyone and HIX is supposed to allow individuals to compare health insurance plans online (if the government can manage to fix the websites and back end infrastructure). HIE stands for health information exchange (oftentimes still used as a noun, but increasingly it has become the action word for data exchange). HIE plays an important role in the healthcare system. It gives doctors, nurses, hospitals, pharmacies, laboratories, payers and ultimately patients, the ability to exchange health information electronically in a secure environment. One of my favorite HIE solutions has been Mirth primarily because of Mirth’s commercial open source model, you get the benefits of a commercial quality product and also an open source, agile, community-driven development process. In September Mirth announced their acquisition by Quality Systems, Inc. the parent company of NextGen Healthcare who is one of the leading electronic health record (EHR) vendors in the ambulatory space. At the time Jon Teichrow, President of Mirth Corporation said, "We are excited about the opportunity to combine forces with NextGen Healthcare. Our shared vision is a game-changing product platform that enables clients to quickly assemble and link components that inform and transform clinical processes, taking care management and delivery to the next level. Together, we can enable our clients to respond with agility to the demands of a rapidly evolving health care environment." The idea was that QSI would continue to market Mirth's products and services while integrating them into the NextGen platform. We may have seen some of this integration during the first day of NextGen's UGM with the launch of NextGen Share. During the unveiling of this new interoperability platform from the combination of NextGen's widely deployed EHR and Mirth Corporation's health information exchange solution, Steven T. Plochocki the President and CEO at Quality Systems, Inc. (QSI)said. “Mirth’s reputation as one of the most adopted, open and globally trusted interconnectivity platforms is a natural fit for NextGen’s established network of providers." He added, "NextGen Share affords our client base an unprecedented level of data exchange that will allow our providers, patients and healthcare facilities to participate fully in a collaborative and connected care environment." "It’s the first phase of a broad enterprise interoperability initiative to supply clients with advanced, scalable data exchange capabilities," noted Steve Puckett, CTO at QSI. "In this first phase, NextGen Share will allow providers to locate other NextGen providers across their community and the country to send real-time, secure provider to provider email... and exchange C-CDA records securely between network participants." A year ago Surescripts announced NextGen's connection to the Surescripts Network for Clinical Interoperability. Now NextGen and Mirth are sister companies and they will be able to build out their own network and connect to other EHR's and HIE software using Direct. Mirth is already the software behind numerous Direct Project implementations and has provided resources and been involved in the efforts from the beginning. Some notable HIE initiatives that make use of Mirth technology are the very successful HealthBridge, the Colorado Beacon Community, the Crescent City Beacon Community, the San Diego Beacon Community, the Inland Northwest Beacon Community, as well as Mayo Clinic and the Lone Star Circle of Care, and ACO in Texas. This new NextGen Share is intended to enable providers to safely, securely, and accurately exchange clinical data and provide referrals without leaving their EHR. It is based on Mirth's proven HIE solution, however this initial phase will only connect with other NextGen users. Using Mirth technology and their capabilities as a HISP, NextGen will be able to When the network is expanded this will enable exchange to really scale with connectivity to other EHRs and HISPs in the community. This is where the real value will be in terms of having the technology to participate in new payment and care delivery models. The Michigan Health Information Network Shared Services (MiHIN) has announced completion of the onboarding process with Healtheway to the eHealth Exchange, opening a path for any Michigan qualified data sharing organization to securely share electronic healthcare information with participants in the nationwide eHealth Exchange network, including the Social Security Administration (SSA), the Veterans Health Administration (VHA) and other states. The eHealth Exchange is a group of organizations operating together to improve patient care, streamline disability benefit claims, and improve population health. The group accomplishes these goals through the secure, trusted exchange of health information – matching patients to their data without a national patient identifier, sending health information to other participating organizations, finding and requesting patient information from other participating organizations where permitted by law and policy, and subscribing to receive updates to patient information. MiHIN is the first state-designated entity for exchanging health information to complete onboarding to the eHealth Exchange with the new testing and onboarding process as guided by the Certification Commission for Health Information Technology (CCHIT). Healtheway, Inc. supports the eHealth Exchange community (formerly NHIN Exchange) and ensures there is an efficient onboarding process. MiHIN is also the first organization in the U.S. to onboard to the eHealth Exchange using the Consolidated Clinical Document Architecture (C-CDA). The C-CDA is a requirement under Meaningful Use Stage 2 regulations and is being implemented across the country under those regulations as a standard format to support Health Information Exchange (HIE). MiHIN’s testing and onboarding broke new ground not only with its focus on C-CDA and Meaningful Use 2 requirements, but also in the type of health information used during the process. “We worked closely with a Michigan behavioral health data sharing organization, PCE Systems, to test and complete the onboarding process,” said Tim Pletcher, Executive Director of MiHIN. “There’s an impression that the focus of HIE has centered on physical health, but this pioneering support of a behavioral health data sharing organization reflects Michigan’s commitment to integrated coordination of care between behavioral and physical health providers. PCE Systems, a Michigan data sharing organization, provided its HIE platform using CONNECT 4.2 to allow the MiHIN Common Gateway to communicate with the automated test lab, the Developers Integration Lab (DIL), during the testing process. PCE Systems also utilized their Electronic Medical Record (EMR) as an “edge” system to initiate and respond to CCHIT test transactions through the MiHIN Common Gateway. The MiHIN Common Gateway, developed with Nitor Group and used for the onboarding process, allows data sharing organizations to send and receive Patient Discovery, Document Query, Document Retrieve and Document Submission messages in multiple protocols including NwHIN SOAP and XCA to and from other eHealth Exchange participants. When Michigan data sharing organizations agree to exchange information through MiHIN, they can choose from a number of Common Gateway use cases, including options to exchange information with Veterans Health Administration (VHA), the Social Security Administration (SSA), Centers for Medicare and Medicaid Services Electronic Submission of Medical Documentation System (CMS esMD), non-federal eHealth Exchange participants, or other organizations that have entered into Michigan’s legal structure for data sharing. Healtheway, Inc. is a non-profit organization chartered to operationally support the eHealth Exchange, a rapidly growing community of exchange partners, who securely share information under a common trust framework and a common set of rules. Currently, there are more than 40 participants including four federal agencies, six states, and more than two dozen Health Information Organizations (HIOs) and health systems, representing hundreds of hospitals, thousands of providers and millions of patients. Healtheway collaborates across the healthcare industry to develop implementation strategies that enable secure, interoperable nationwide exchange of health information. For more information about Healtheway and the eHealth Exchange: www.healthewayinc.org. MiHIN is dedicated to improving the healthcare experience and decreasing cost for Michigan’s people by supporting the statewide electronic exchange of health information and making valuable data available at the point of care. MiHIN is a public and private nonprofit collaboration between the State of Michigan, the Office of the National Coordinator, sub-state Health Information Exchanges, insurers, payers, providers and patients. For more information please visit www.mihin.org.